eep in the inner-city of Portsmouth, Virginia, a woman and her children huddle together inside their tiny apartment. It is January, and a cold front carrying a foot of snow and below-freezing temperatures is coming. Their apartment isn’t government housing nor Section Eight (subsidized); therefore, they must pay for their own utilities, and the thin walls are uninsulated. She can’t afford the enormous cost to heat the place. If she complains, she knows her landlord will raise the rent; or even worse, evict her and her children to the streets. This mother has no idea what to do, so she does the only thing she can do─she prays. She asks God how she will keep herself and her children warm tonight. And then there is a knock at the front door. She opens her door to find two men standing there with wool blankets and a Bible. Behind them, she sees a truck parked on the street with HOPE written in large letters. She takes the blankets and Bible from the men and starts to cry, telling them she had just prayed for warmth. A few hundred miles away at a Wednesday-night youth church service in rural Kentucky, a young boy stands on the tips of his toes and cranes his neck trying to see if there are any more potato-chip bags left in the box of snacks provided each week. He eagerly accepted his one bag from the church volunteers, but he sees some of the other kids have refused theirs. “We don’t like the hot kind of chips,” they tell the volunteers. The small boy reaches forward and scoops up all five rejected bags of spicy chips. “Well, if you’re hungry, you’ll eat them,” the boy says. The next day, he tells a church worker that he ate all five bags of chips for breakfast because that was the only food in his house. The female volunteer smiles at him. Behind her, he sees a cross hanging on the church wall. These are two examples of the millions of people affected by poverty, hunger, and disaster in the U.S. and around the world. The mother’s and the young boy’s situations are desperate, but they can see a ray of hope because the men and women at HOPE Charitable Services in Portsmouth, Virginia, and First Pentecostal Church of Barbourville, Kentucky, have been called to serve the poor. And they are not alone. Countless people are serving the needy through churches, charities, and other nonprofits worldwide with one thread tying them together: Operation Compassion. Started by John Nichols in 1994 as a Church of God agency to train churches to do benevolence ministries, Operation Compassion now houses and transports donated products around the globe. From the poverty-stricken Appalachian regions to the devastated Carolinas hit by Hurricane Matthew in 2016, Operation Compassion has lent a hand. From poor Native American tribal lands to demolished Haitian shanty towns in the 2010 earthquake, Operation Compassion has helped. The president of Operation Compassion, Dave Lorency, has been with the organization since 2000─when its first distribution of goods took place. “We started in 2000 with nothing but a pickup truck in Alabama and $200. Now, we ship $200 million a year in donated product. In the last 10 years, we have averaged 1,700 tractor trailers a year moving donations to 40 states and 54 countries,” said Lorency. As Operation Compassion grew exponentially, the Church of God General Assembly voted to have the ministry become a separate organization. “We work with major retailers by moving their goods into the communities, where they are distributed at the grassroots level,” he said. One example is a meal package specially designed by food scientists at a major food manufacturer for malnourished children in developing-world countries. For instance, Lorency said Operation Compassion is the designated charity for the Tile Manufacturing Trade Association and, therefore, is the largest recipient of tile in the country. This tile and other building supplies are housed in a 40,000-square-foot warehouse. That warehouse sits next to another 80,000-square-foot one filled with donated goods, including clothing, food, shoes, medical supplies, hygiene products, and more. Lorency explains these charities do not only provide four walls and a roof. Operation Compassion’s incredible scope of ministry includes providing benevolence training to birth more ministries. “Recently, a Care Conference was held in Asia and more than 7,000 delegates came from all over Asia to learn how to start a charity. Some were from underground churches in China. Dr. John Gregory also funded several trainings in the United States and, one year, about 2,000 people attended a conference in Nashville,” Lorency said. Operation Compassion’s conferences have proven to be successful in ways Lorency said he could not have imagined. In 2004, Pastor Niko Njotorahardjo and his staff from Indonesia’s Gereja Bethel Church visited Operation Compassion and learned its model for setting up charities for caring for the poor. Then the devastating tsunami happened. Operation Compassion shipped 1,000 tractor trailers of donated goods to Indonesia, with 500 containing rice for hungry people. Twelve years later, Hurricane Matthew hit the Southeastern U.S. coastline, especially the Carolinas, and Pastor Niko gave a $5,000 donation to help with disaster relief. “Our network shipped about 50 semi-trucks to that area. These are the kind of things our networking allows us,” said Lorency. Operation Compassion’s efficiency at networking and logistics has caught the attention of the Federal Emergency Management Agency (FEMA). Lorency said the Department of Defense has recently contracted with Operation Compassion to house their trucks and to serve as their logistics distribution center. The charities impacted by Lorency’s ministry say he and the ministry have been invaluable to them and their work. 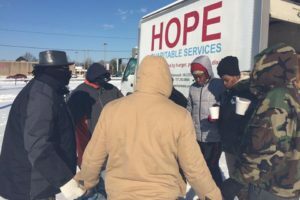 “We would have closed if it were not for Operation Compassion’s ministry training,” said Bishop Frank Allen, director and founder of HOPE Charitable Services, which serves the poor in Portsmouth, Virginia. “When I think about Operation Compassion, I think about Dave Lorency. He has been our friend since the beginning of HOPE, and he has stood by us through great difficulties,” said Allen. Christian Appalachian Project in Kentucky is another ministry that networks with Operation Compassion. “We receive three to four truckloads of various items each week from Operation Compassion. Every 20 minutes, a different organization will pick up the items they need and take them back to people in need in their community. 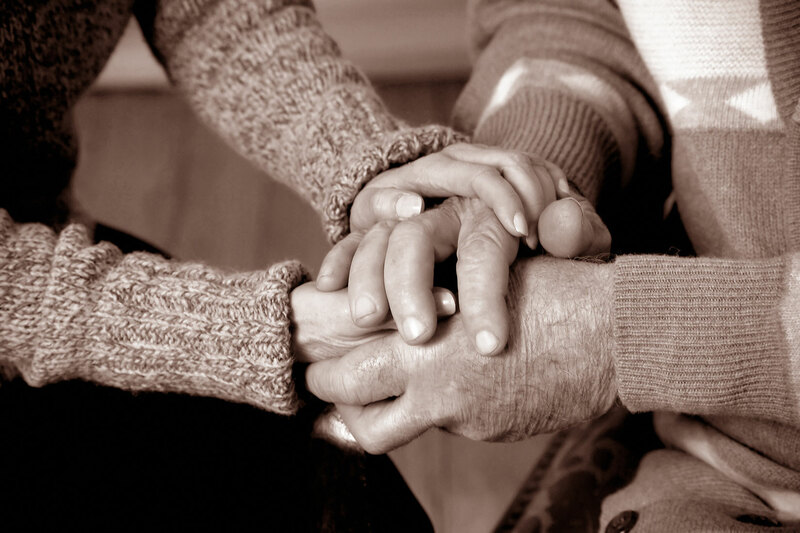 This impacts 1.5 million people total in the 15 states and 1,300 different organizations that we serve,” said Jeff Burchett, director of Operation Sharing, a program of Christian Appalachian Project. One of those organizations served is the First Pentecostal Church in Barbourville, Kentucky, which buses in children from all over the county for Wednesday youth church─including the boy who was overjoyed to get potato chips. Arleah DiFebbo is circulation manager for the Church of God Evangel.